Martín was born in Buenos Aires, Argentina. 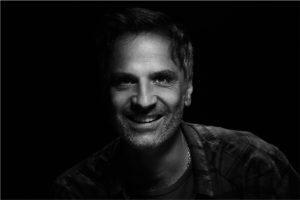 Although he graduated from law school, he has worked as an advertising photographer for over 15 years, following the dictates of his true vocation as third generation of a family of advertising agents. In the beginning, he worked as an assistant photographer in many photography studios. In 2001, he started his career as a freelance photographer and worked for various advertising agencies, publishers and companies. 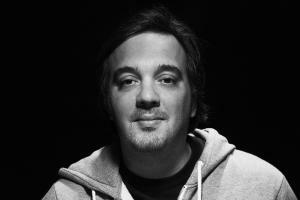 In 2008, he began to make important international graphic campaigns; he expanded his service range and incorporated international advertising agencies like: DDB, Young & Rubicam, BBDO, Ogilvy, Geometry, Grey, Saatchi & Saatchi, Leo Burnett, Sancho BBDO, FCB, Havas, Publicis, Lowe Mullen, and companies like Coca-Cola, Samsung, Claro, Movistar, Cervecería Quilmes, Brahma, Aguila, Miller, Isenbeck, Avon, Visa, Peugeot and Wolskvagen, among others, as new clients. His works have obtained prizes in prestigious world festivals such as Cannes, the New York Festival, Ojo de iberoamérica, Clio Awards and His shots have been selected by important books of international publishing such as Lüezer’s Archive magazines, 200 best Photographers worldwide 2015-2016 and 200 best Photographers worldwide 2017-2018. Lucas Peydro was born in Buenos Aires, Argentina. In his early years as a young boy he showed great interest in the latest audiovisual and cinema techniques. It was years later when he pursued the career of cinema and TV technician. After some time he travelled to Europe mainly to become acquainted with the latest audiovisual methodology In the year 2007 he returns to Argentina and starts his work for well known international publishing companies those were Rebolucion, Nunchaker, and Altana among several ones. After this experience he obtained a high reputation and was soon appointed to international publishers Armando Bo, Luciano Po, and Lemon & Babies. In the year 2000 he became associate partner with Martin Köhler founding Köhler Studio, acquiring the general coordinator of photographic and audiovisual production role. Since then, he continues growing his passion for modern technology extending his work to both national and international Publishing corporations.